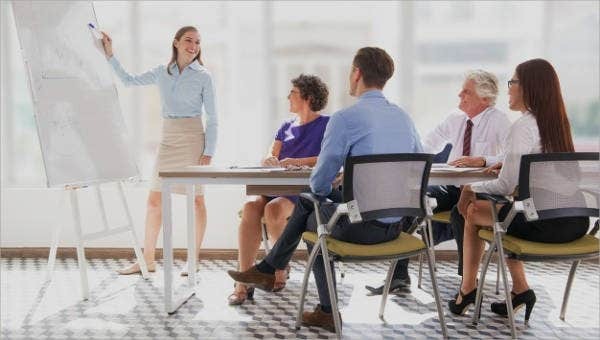 Training is an essential part of an employee’s professional life. It enables him or her to have more knowledge about the job that he or she is doing. 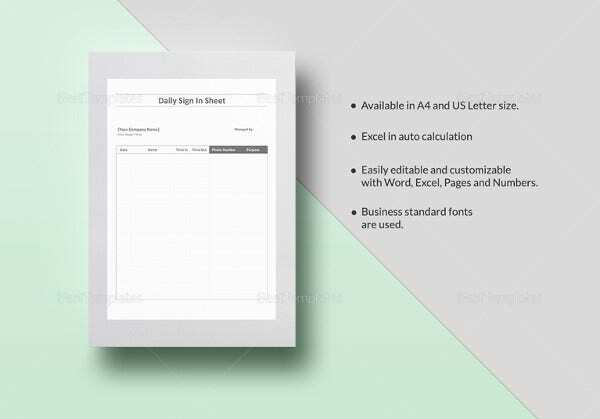 It also allows employees to master all the processes that are needed to be done in the daily operations of the company where they work. There are different reasons why a training has to be done but it is for sure that it will benefit the employees in many ways possible. 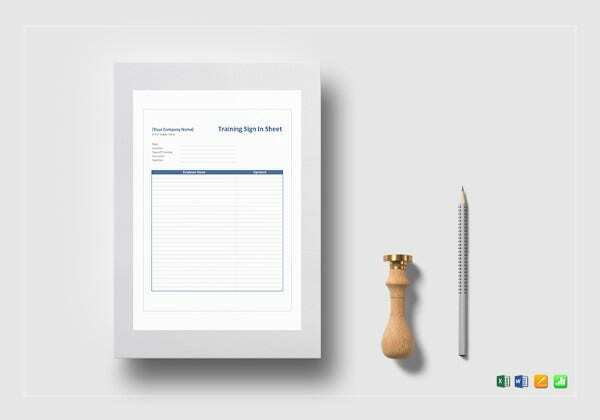 Hence, it is very important for a company to track the attendance of their employees whenever training is being done. 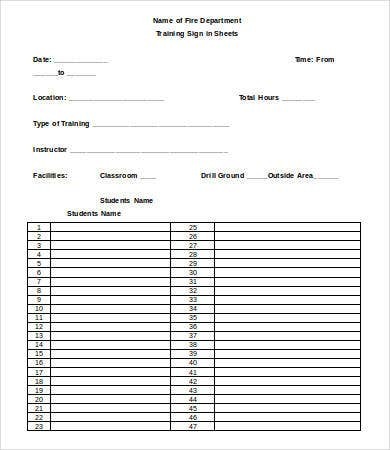 Training sign-in sheets are used for this specific purpose. 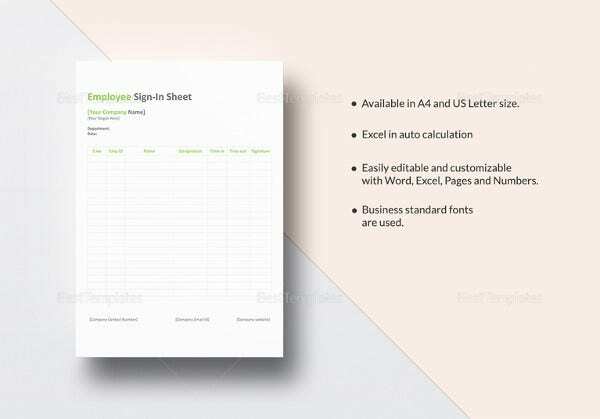 You may use our Sign-In Sheet samples and use it as a template for your company’s training sign-in. Some training actually happen during working hours. 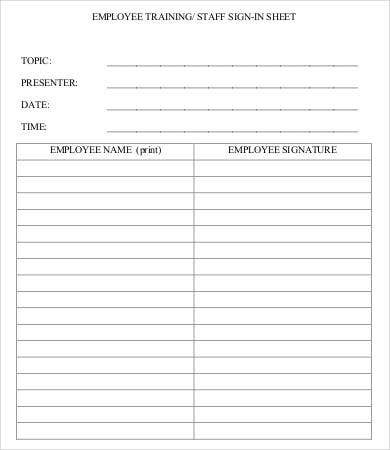 Having a training sign-in sheet will assure the employer that their employees are using their working hours in attending the seminar they are intended to attend. 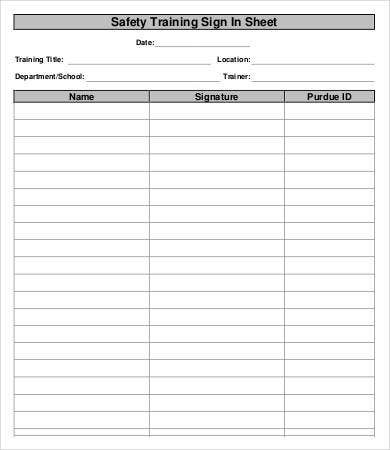 A training sign-in sheet can be used as a reference needed by the human resource in documenting all the training that their employee have undergone. 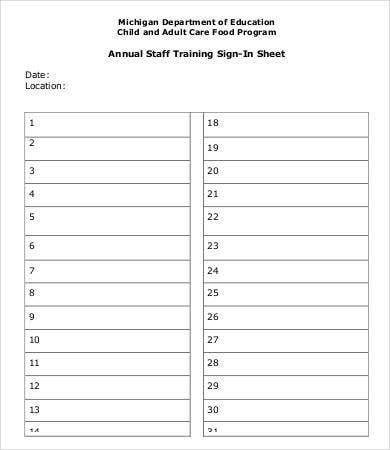 Employees can use a training sign-in sheet as a physical evidence that they have attended the training that they have been told to attend. 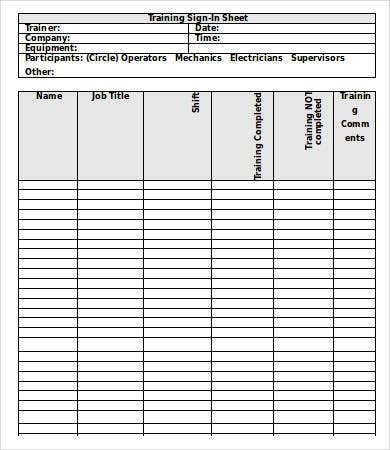 It allows the company to know if the training has been efficient and helpful in terms of the number of people who have attended. 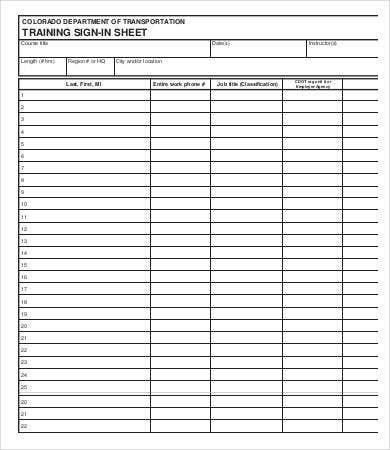 The more people who have written in a training sign in sheet, the more feedback they can get regarding a specific training. 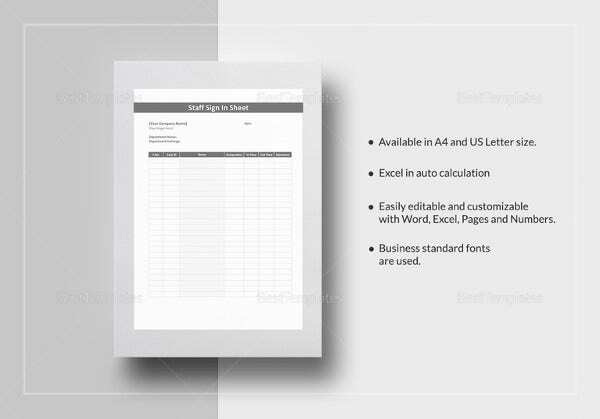 It logs the time that a specific employee went in to attend the training. 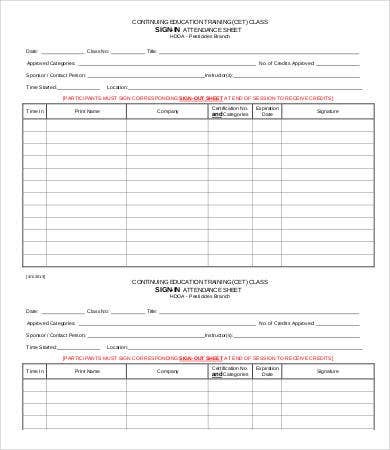 Aside from our training sign in sheet template, you may also download our samples of an Event Sign-In Sheet. 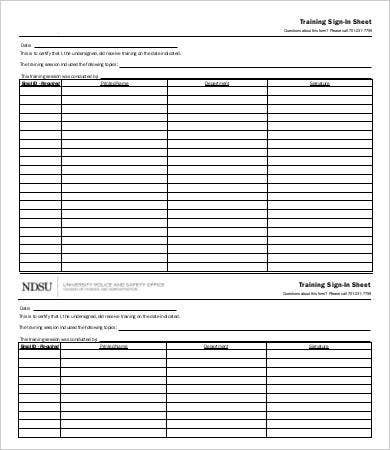 What Is in a Training Sign-In Sheet? 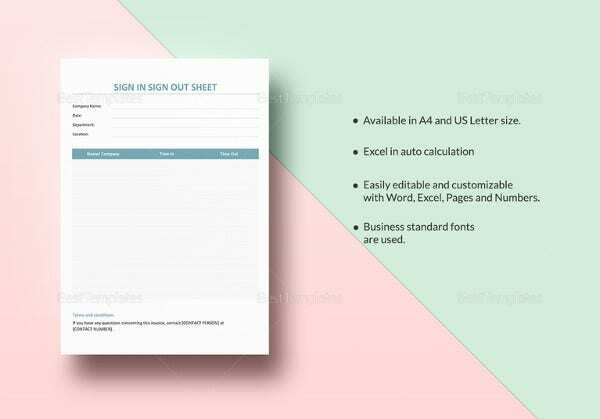 Be sure to write all the needed details included in a sign-up sheet for documentation. 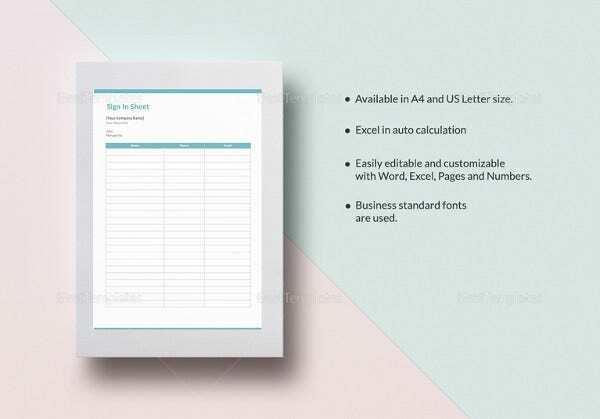 It is not only for the benefit of the company, but for the employees as well. 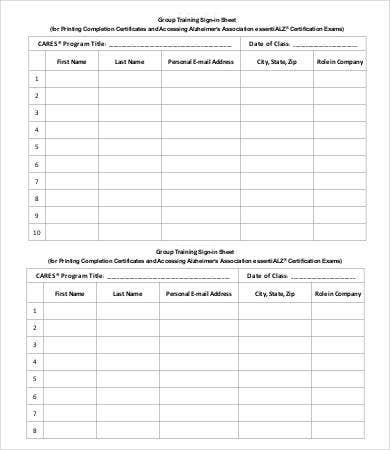 Kindly take a look at our Sign-Up Sheets and easily download it should you be needing it for future events or projects.